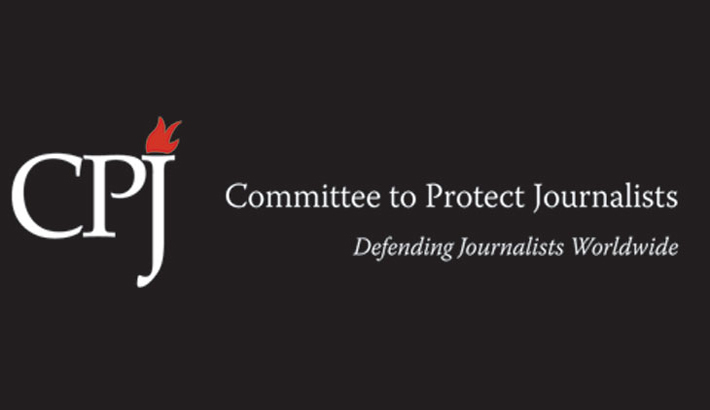 The Committee to Protect Journalists (CPJ) has urged the government to drop all charges brought against Abdul Latif Morol, a local journalist of Khulna, reports UNB. “Jailing a journalist for reporting the death of a goat is beyond absurd,” CPJ Asia Programme Coordinator Steven Butler said from Washington DC on Tuesday. Abdul Latif Morol should be released immediately, and the Bangladeshi government should urgently heed its pledges to reform the law that makes such abuses of the justice system possible, he said. Section 57 of Bangladesh’s Information and Communications Act, which carries maximum penalties of 14 years in prison and fines of more than US $100,000, criminalises publishing material online deemed to be false, obscene, defamatory likely to harm law and order, tarnish the image of the state or an individual, offend religious sentiments or provoke individuals or organisations, according to legal analyses. On Tuesday, police arrested Latif, 40, from his residence in Dumuria upazila in a case filed under section 57 of the ICT Act over a Facebook post ‘demeaning State Minister for Fisheries and Livestock Narayan Chandra Chanda’. A local man, Subrata Mazumder, filed the case with Dumuria Police Station against Latif, Dumuria correspondent of ‘Dainik Probaha’, said Sukumar Biswas, officer-in-charge of Dumuria Police Station. According to the case statement, Latif in his Facebook post allegedly criticised the junior minister as some goats distributed by him (minister) among poor people in Dumuria died soon after the distribution.